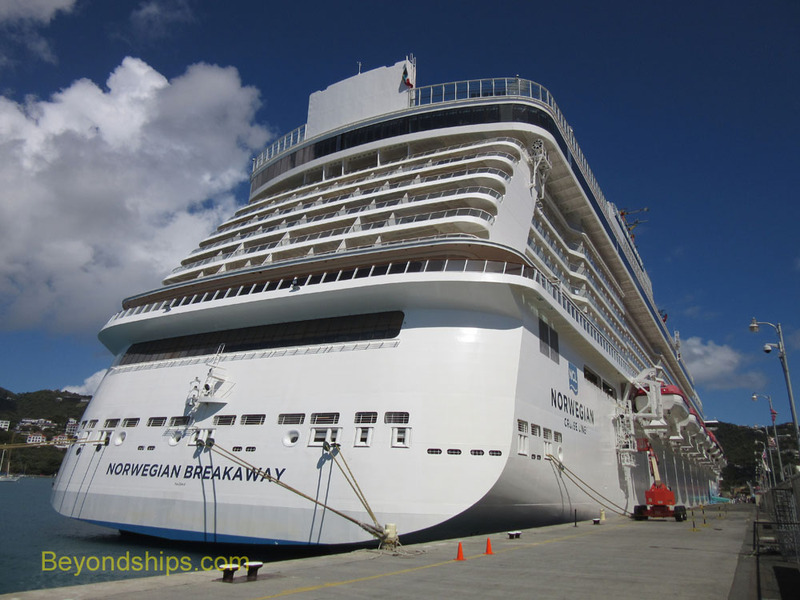 Norwegian Breakaway is not a denizen of the Caribbean. 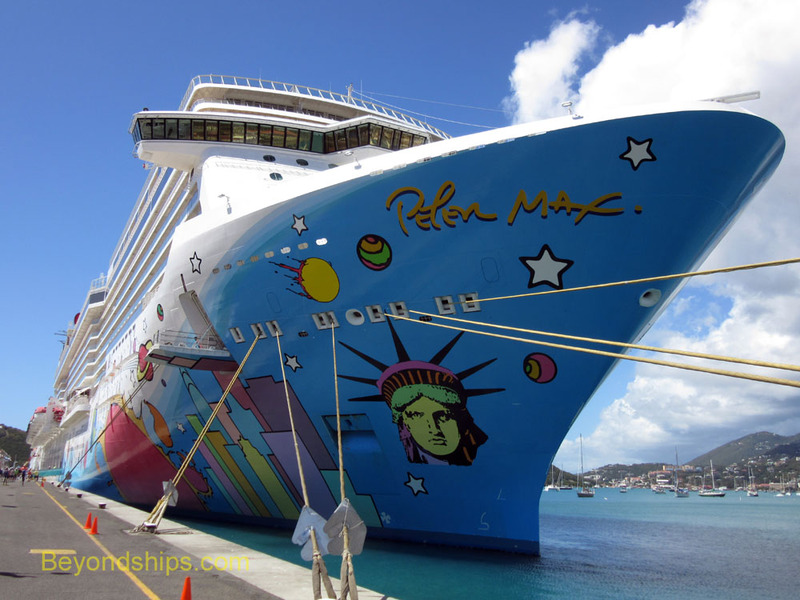 Based in New York, she is a more frequent sight in Bermuda and in the Bahamas. 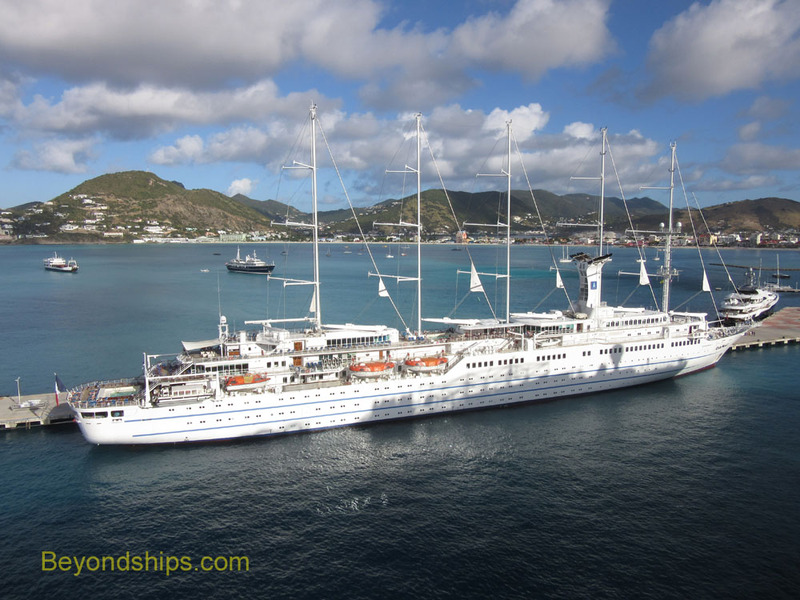 However, when the weather turns cold in the northeastern United States, she does make the occasional foray deep into the Caribbean. 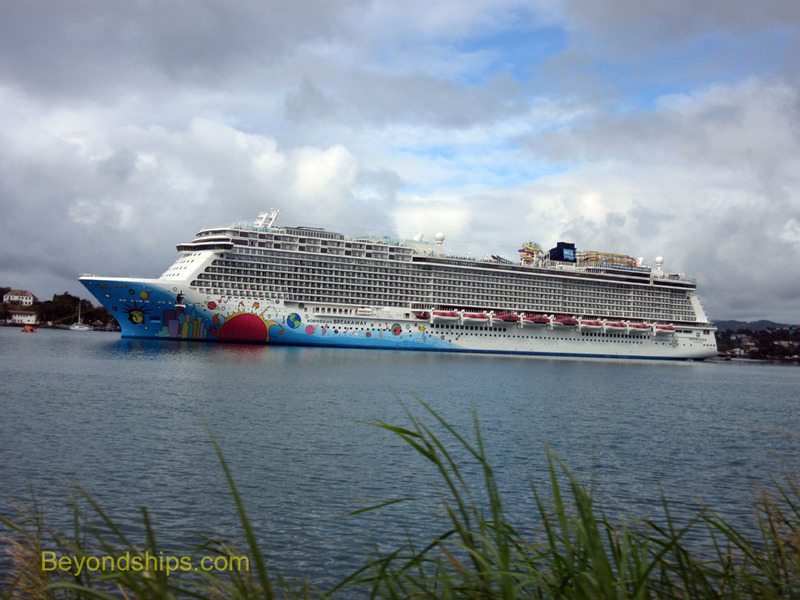 In this photo feature, we follow her to the ports she visited on one such cruise. 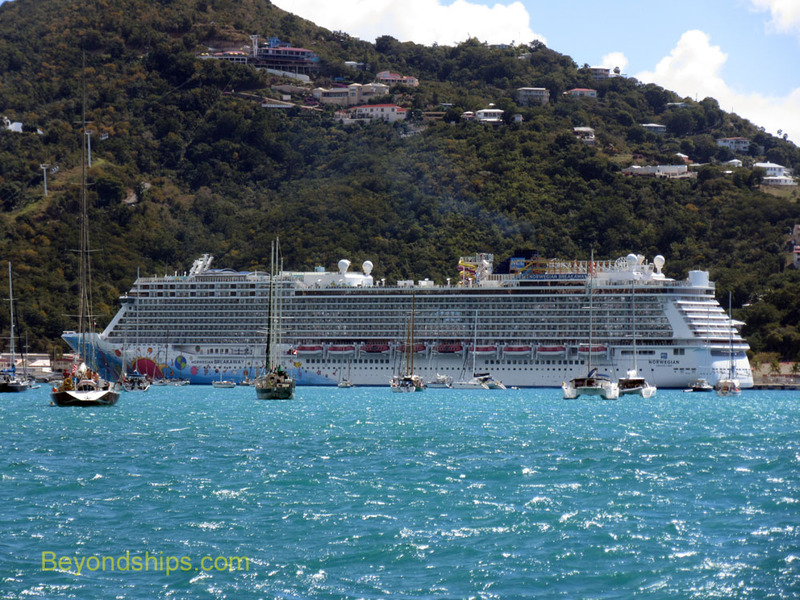 Breakaway's first port of call was one of the most popular of the Caribbean islands, St. Thomas. (A call at San Juan was cancelled due to weather). 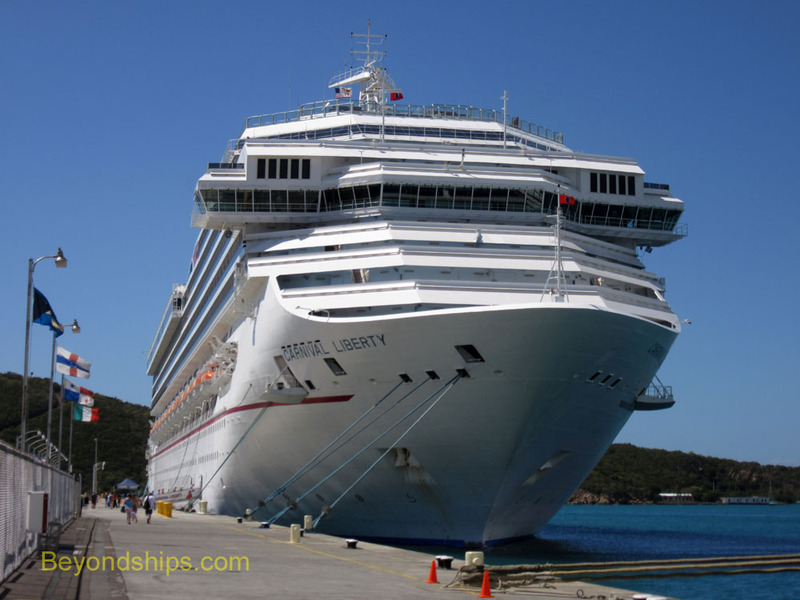 Joining Breakaway at the Havensight cruise port was Carnival Liberty (below). 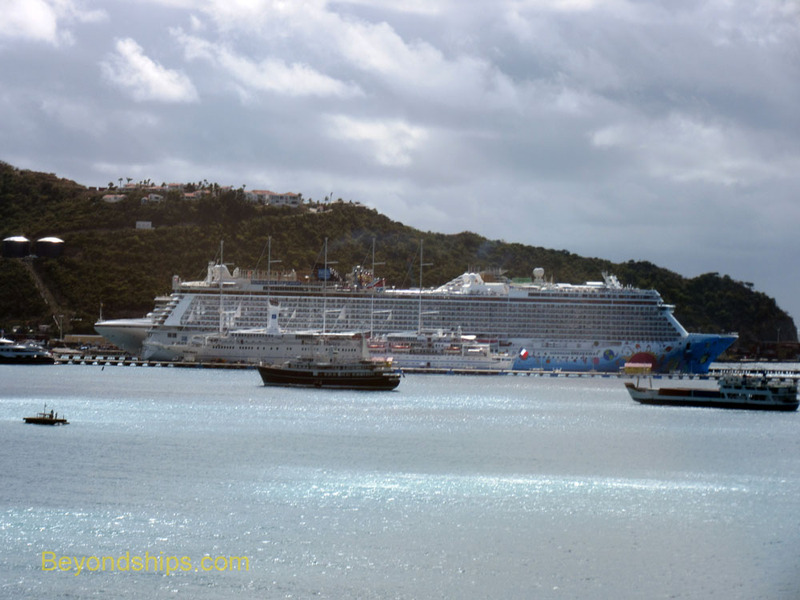 Breakaway then headed to the Caribbean's other main shopping center, St. Maarten. 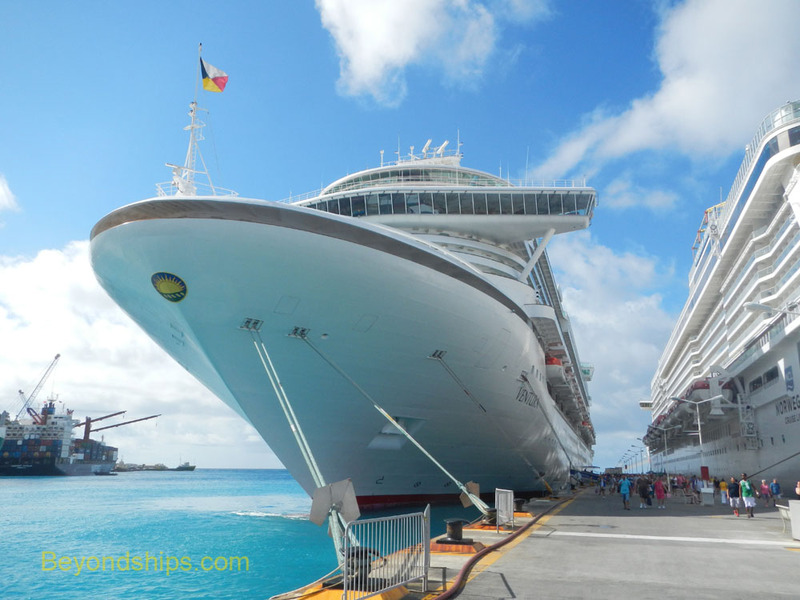 It was a relatively quiet day for this busy port with only P&O Cruises' Ventura (U.K.) (below left) and the sailing cruise ship Club Med 2 (Fr.) (below) sharing the port with Breakaway. 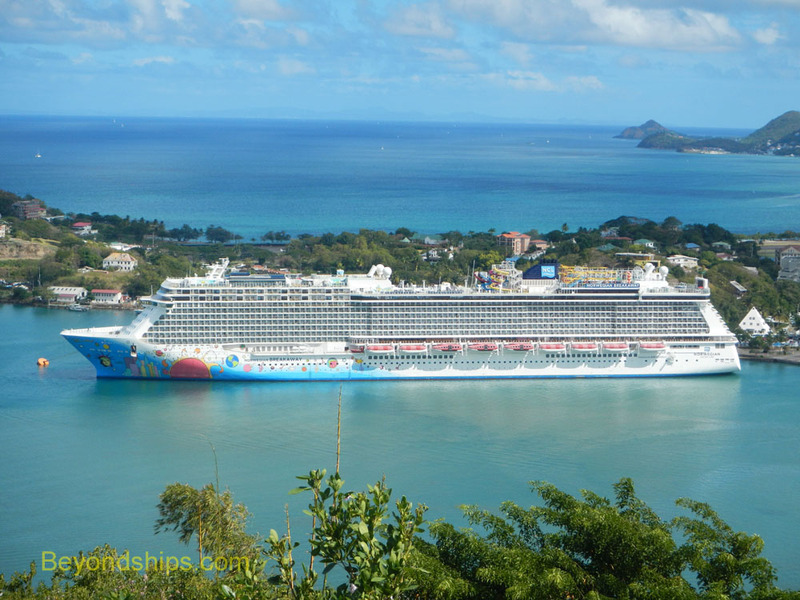 Breakaway's next port of call was Castries on the volcanic, rain forest covered island of St. Lucia.